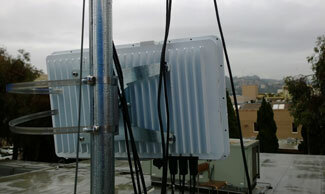 Tarana Wireless, a start-up small cell backhaul vendor, held its first Analyst Day on November 19th in Berkeley, CA. While the event was important for lending insights into the company’s products and strategy, it was more important as an opportunity to see its solution in action – operating as promised. Last week, looking back at the messaging out of Alcatel-Lucent’s Tech Symposium, we talked about the value of a “good story.” It wasn’t meant in a negative way. It wasn’t meant to suggest that the “story” was more important than products. Instead, where Alcatel-Lucent hasn’t always been expert at publicly showcasing its strengths, the value of a good story was simply meant to signify the importance of getting a coherent, compelling message into the market that addresses would-be customer demands. Often, however, a good story simply isn’t enough. Take the example of small cell backhaul. Yes, any vendor in the space needs a good story to explain their claims to differentiation and explain how they’ll keep funding R&D while operators move from their initial focus on indoor small cells to outdoor deployments. Yet, as they battle for differentiation, product claims and proof points will become even more important, which leads us to the story of Tarana’s first Analyst Day. Even if Tarana’s offices weren’t just up the road from my home, I would have found the time to attend its Analyst Day in Berkeley. I already knew its claim to differentiation: smart antenna technologies at both ends of the backhaul link which might add to product costs but ultimately keep OpEx down by allowing for solid spectrum reuse, robust link capacity and non-LOS operations. It was the technology proof points I was looking for. You see, I’ve heard analysts and vendors alike question the veracity of Tarana’s product claims. I can’t fault the vendors, and I suspect the analysts were simply aping what they’d heard or reacting to a lack of commercial traction early in Tarana’s existence. Particularly in the early days of a market, when commercial deals are few, vendors will naturally look to compete on product performance and refute the claims of their competitors. It’s Marketing 101. But, back to Tarana’s Analyst Day. Driving around a super-rainy Berkeley, I got to see a variety of links: LOS, near-LOS, non-LOS. Based on the diagnostics the company shared, they all performed as promised. Demos weren’t the only value of the time spent with Tarana; understanding its product roadmap and markets it plans to tackle other than small cells, for example, provided insights into what we can expect going forward. Acknowledging that product proof points are one of the most important components of small cell backhaul messaging circa 2013, and executing on those proof points, however, shows a real understanding of the market that goes beyond positioning papers and (theoretical) economic modeling. Oh yeah, and it was pretty cool driving around a left-leaning town in a van with a radio on the roof – likely scaring a paranoid populace that we were with the NSA! Next postHow Far Can Orga Systems Drive Billing-as-a-Service?